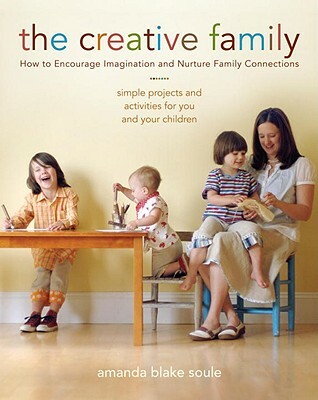 When you learn to awaken your family’s creativity, wonderful things will happen: you’ll make meaningful connections with your children in large and small ways; your children will more often engage in their own creative discoveries; and your family will embrace new ways to relax, play, and grow together. With just the simple tools around you—your imagination, basic art supplies, household objects, and natural materials—you can transform your family life, and have so much more fun! Amanda Soule has charmed many with her tales of creativity and parenting on her blog, SouleMama. Here she shares ideas and projects with the same warm tone and down-to-earth voice. Perfect for all families, the wide range of projects presented here offers ideas for imaginative play, art and crafts, nature explorations, and family celebrations.